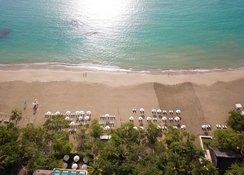 Casa Colonial Beach & Spa Hotel is a family-friendly hotel located 1-minute walk from the beach and 6.2km from Puerto Plata downtown. Equipped with spacious suites with marble tile and neutral colors these guest rooms offer guests with magnificent views of the ocean or garden. 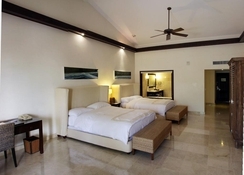 The rooms are furnished with flat screen satellite TVs, minibar and CD player. This is one of the strategic locations of San Felipe de Puerto Plata with good shops, bars and restaurants in the neighborhood. 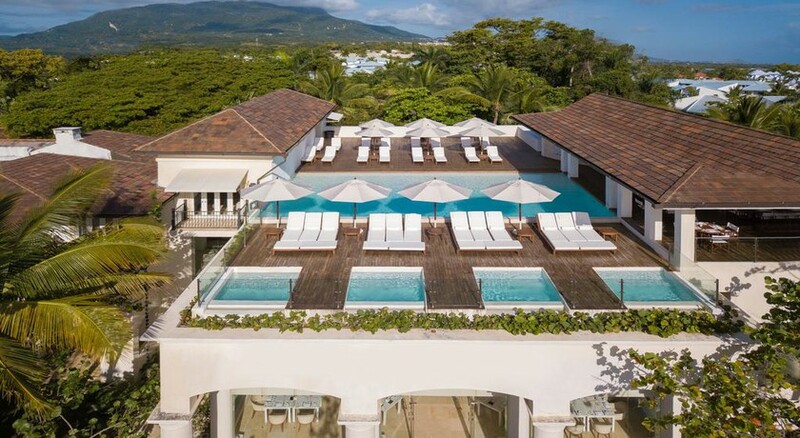 With a restaurant serving delicious dishes and drinks, a spa and gym, this is a perfect retreat for travelers looking for a beach holiday in laidback Puerto Plata. 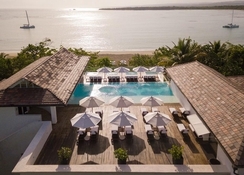 Located in the heart of Playa Dorada, Casa Colonial Beach & Spa Hotel is situated in a posh community of Puerto Plata, as behooves a five-star property. This is just a minutes’ walk from the beach and is accessible from two both the La Union Airport (15.8km) and Cibao International Airport (70km). All the 50 guestrooms at Casa Colonial Beach & Spa in are air-conditioned and come with free Wi-Fi. The spacious rooms furnished in contemporary décor come with a spacious balcony and living space. The rooms are furnished with comfortable guest amenities like large flat screen satellite TVs, international direct dialing phones, radio & CD player, minibar, coffeemaker, iron with board, bath with tub and shower, hair-dryers, bathrobes, minibar and limited room service. The rooms come in categories like Suites, Junior Suites, Deluxe Suites, Master Suites, Penthouse Suites and Presidential Suites. 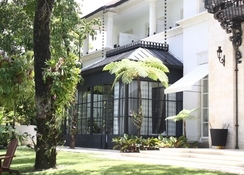 Lucia, a fusion restaurant of gourmet French-Caribbean cuisine scores also for its breathtaking ambience. Large floor-to-ceiling windows provide a peek into the mangrove jungle adjacent to the resort and guests may order the finest of wines from the wine cellar. Verandah is a casual restaurant with optional terrace setting where you can have breakfast or lunch with amazing views of the garden or the ocean. Casa Colonial Beach & Spa has a rooftop infinite swimming pool where guests can relax. The Bagua Spa is a calm oasis next to the surging ocean with 10 therapy rooms, including two person Jacuzzis and terraces overlooking the Atlantic. It offers a host of relaxing therapies and massages. The sea is a minutes’ walk and can be reached via a pleasant stroll. The hotel also offers Yoga classes to guests.